This self-directed program teaches readers to speak up and say what they mean at work and at home. Excerpt - Back Matter:"... "You don't have to be pushy to get what you want! 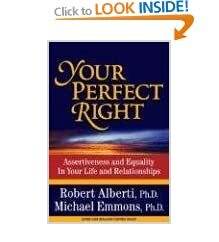 Civilized Assertiveness gives you the words to stand up for yourself while still being respectful of others." The best-seller that helps you say: "I just said 'no' and I don't feel guilty! Sue Bishop outlines ways to deal with problem people, think positively and build self-confidence. Practical activities help readers measure progress and reach their goals. 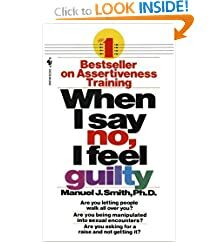 The thirtieth anniversary (eighth) edition of the most widely recommended assertiveness training book helps readers step-by-step to develop more effective self-expression. The Power of Positive Confrontation is for everyone who was never taught, or never realized, that between "bully" and "wimp" is a range of behavior that is positive, dignified, and effective for dealing with life's bothersome situations. Managing Assertively has helped tens of thousands of businesspeople become more effective managers by sharpening their people skills.